Mike Carey Music Company The Family Store. Area's largest selection of used gear. We are aggressive in the quest to provide you with an ever-changing inventory. Guitars and everything that goes with them, drums and cymbals and cases, oh my! Harmonicas, Violins and fiddles, digeradoos and rainsticks, vibraslaps and tempo blocks! Custom cables and capos. Lessons and service!!! - Our Music Instruction Program is second- to-none! FUN, INFORMATIVE, EFFECTIVE! We are a member of the American Guild of Music and have placed several local and national champions. - Expert Instrument Repair- Our work is done right, and with a quick turnaround time. All work guaranteed. - FREE BUYER'S CLUB guarantees your purchase to be covered by our exclusive in-store warrantee on both new and used items. With this program, there is no need to put more money out-of-pocket, YOU'RE COVERED!!! Have any trades? Bring them in and let's do some business! 734-283-4550 CALL TODAY!!! DO NOT DELAY!!! Here at the family music store, we are eager to help you! It is our belief that music doesn't have to be 'melt-your-face-off' scary! You will be assisted by our friendly, knowledgable staff who are under advisement to make sure you get what you need- the right stuff! There are no 'weekend super sales' here, or 'one-day deals'. 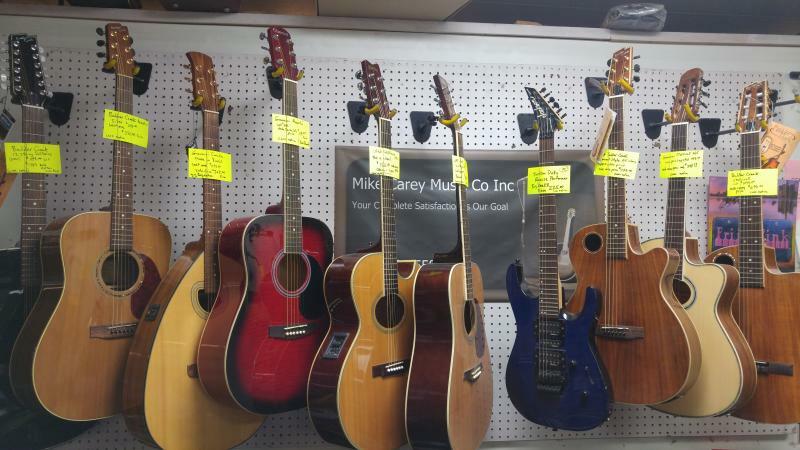 At Mike Carey Music Co, it is always on sale at the greatest price! Come in and hang out for a while. Our phone number is 734-283-4550. 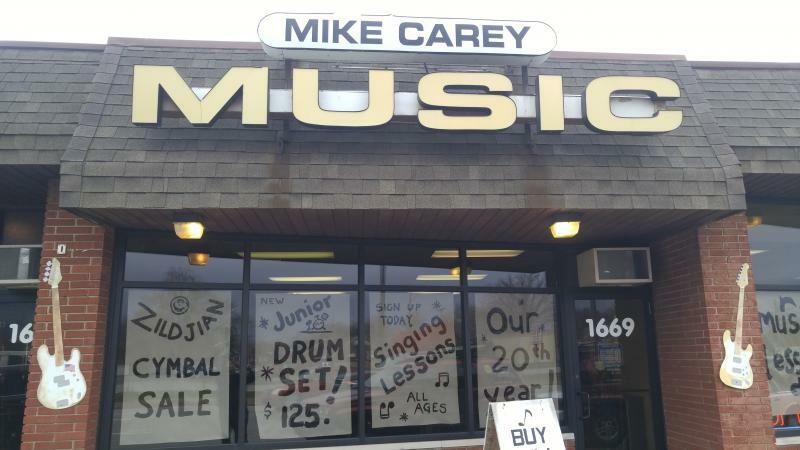 Call today or stop by Mike Carey's Family Store of Music. We offer senior citizen and Church discounts. Lessons on guitar, piano, violin, voice, bass, drums,banjo, mandolin, harmonica, accordion, recorder, flute. Guitar repair, electronic repair, small PA rentals. Copyright 2011 Mike Carey Music Co. All rights reserved.